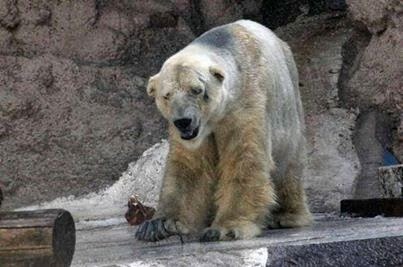 I am sure that many of you have heard of ARTURO, the senior polar bear who resides in captivity at the MENDOZA ZOO in Argentina – or perhaps have joined countless other voices that are being raised in order to get him sanctuary before the extreme heat that he faces on a daily basis costs him his fragile and innocent life. It is truly heartbreaking and brings tears to the eyes how anyone can put an innocent life is jeopardy such as this – that money and greed are put first and of much importance instead of the life and soul of a living, breathing being. What has happened to the hearts of some humanity? To subject a life to live in a concrete enclosure, with just a shallow pool, with no escape from the heat which is taking its toll on his welfare and health – do we truly think so little of life, or that such life doesn’t deserve to have their needs met in order to have a fulfilling and happy life. 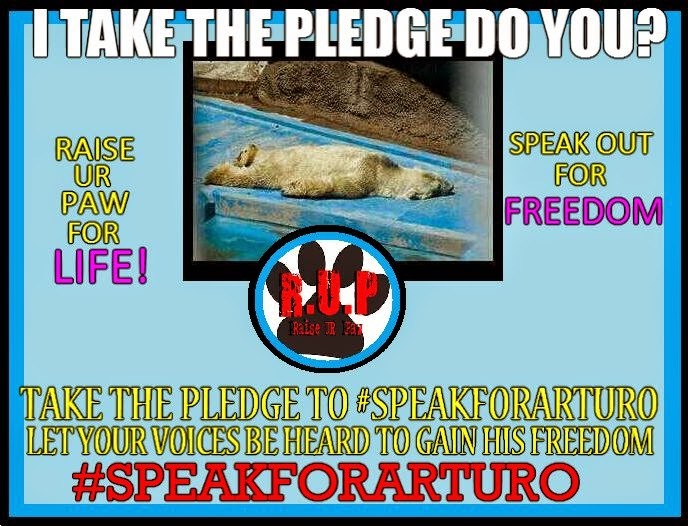 Animal activists and angels have been determined and dedicated in campaigning for a long period of time now to get ARTURO (the last polar bear in captivity in Argentina) to a more suitable and adequate environment, where temperatures are appropriate – to seek sanctuary for this poor life who is now slowly fading away due to the extreme heat and lack of care and medical attention. However, for an import permit to be granted, the MENDOZA ZOO has to provide medical records of the bear dating back the minimum of THREE YEARS, but according to officials, they do not have the medical records and thus making the permit unable to be issued. If this is the case then obviously there has been no care medically for this defenceless animal, especially for the past three years – and it is now more than ever important that ARTURO is placed in a sanctuary where he can receive and get provided with the proper care that he needs, and also that the MENDOZA ZOO should face charges, since ARTURO is their responsibility and that his medical care and records are their responsibility as well – this is extreme neglect on their part. 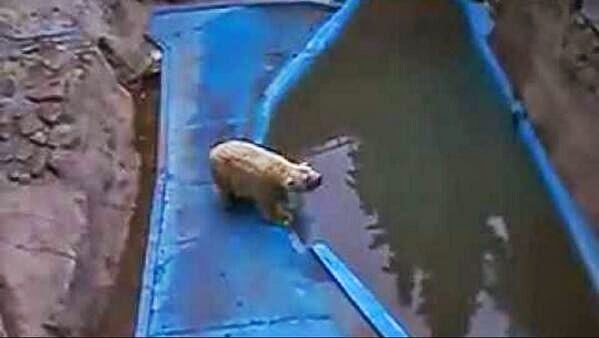 It has also been known that a Canadian Zoo has offered to adopt the animal, but local authorities have been swaying back and forth on whether or not to let him go, there was even a point that they had invited Canadian experts to come and see Arturo, but a couple of days before the trip, they retracted their invite – which in my opinion proves that they are putting their disgraceful pride before the best interest and welfare of Arturo. We at RAISE UR PAW are pleading with everything in us to help by raising your voices and support the fight to SAVE ARTURO, to unite voices worldwide in order to show what compassion and humanity stands for.. Time is ticking for this innocent life, and something needs to be done now before another enslaved soul falls victim to the hands of inhumanity. WHAT IS THE USE! A Must Read!